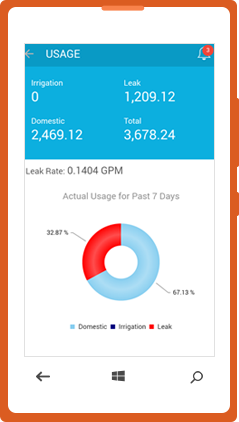 Our client managed to increase battery life of smart water meter by more than 50%, thanks to Azure based cloud solution which reduced communication time to mere 200-300 milliseconds even when data reading frequency was increased to every 5 minutes instead of hourly data. 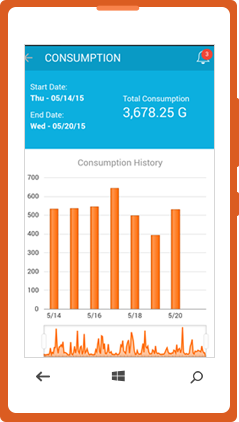 Need real-time visibility on your utility usage data? 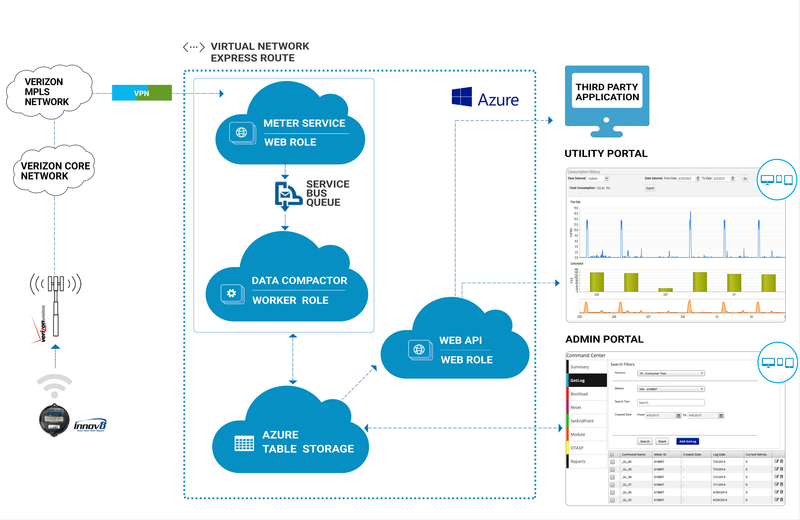 The client wanted to integrate CDMA based water meter with Azure cloud to create a smart water metering architecture capable to track real-time water consumption and data analytics. 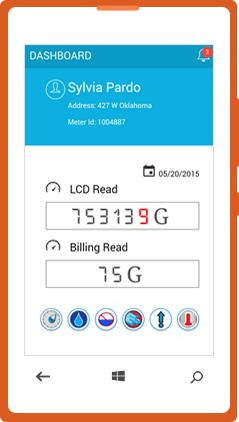 The data has to be collected from domestic water meters across US through Automatic Meter Reading (AMR) via CDMA chips and Verizon wireless network. With about 500,000 water meters installed, the core challenge meant collecting water flow readings from meters in minimum time utilized for two-way communication and hence increasing the life of battery powering the smart water meters. To enable data collection at large with minimized infrastructure cost, the client wanted to implement a cloud based data analytics solution. This system will integrate water meter CDMA chips with cloud based data analytical system creating a Internet of Things (IoT) environment. This IoT system should utilize Azure Cloud services to integrate with sensors placed on Smart Water Meters providing data analytics to both customers as well as the client to determine water consumption at real-time; screen defaulter from over consumption of water resource; load balancing based on water consumption need in different regions/groups; frame stratagems for saving water resource across the US region. 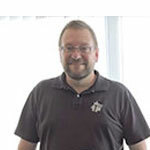 Saviant is one of those few Azure Cloud experts who have pushed the envelop to adopt Azure’s cutting-edge IoT solutions to deliver client a Multi-tenant, cloud-based solution that communicates with Verizon Wireless Network and backed by strong data analytical engine. Experts at Saviant implemented a fast and secured data processing using Service Bus, Worker Role and Azure Tables. This helped create a high performance Azure Architecture to process data from 500,000 meters every day with accounts to a mere 5% of the implemented system’s capacity. The IoT based Smart Water Metering architecture provide real-time access to users and water department about water consumption at real time. The system generates alerts for over consumption of water resource; billing; leakage detection anaomalies; real-time consumption data as few of the 22 alerts in total which the system is designed to generate. The system features two-way communication between Cloud Service and CDMA based water meters with communication time locked at 200-300 millisecond. The VN Server and Azure Storage serves as the meter data management system (MDMS) for the VN system. Build IoT based smart metering solutions.